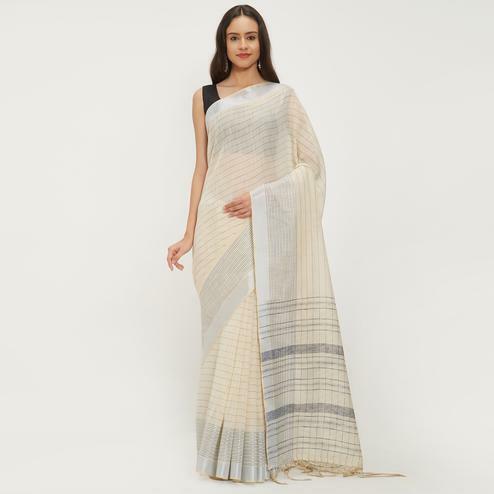 This off white saree fabricated in georgette and beautified with multicolored floral prints and fancy lace border would surely give the wearer a trendy look. 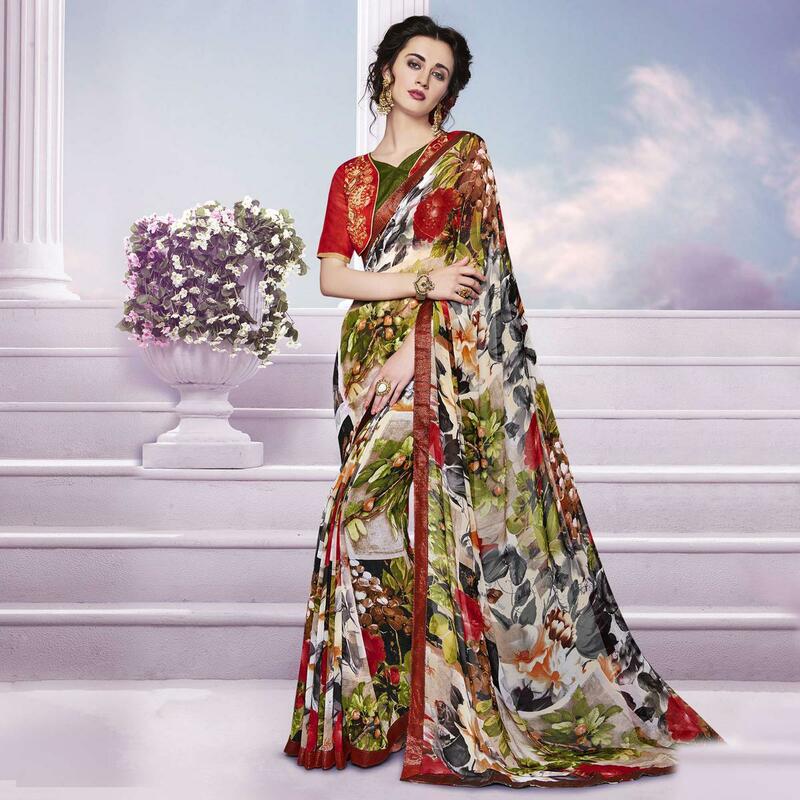 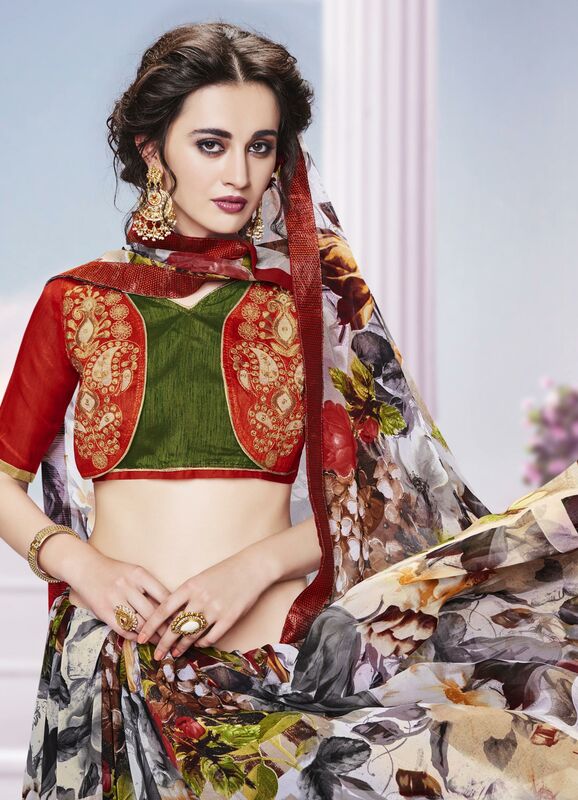 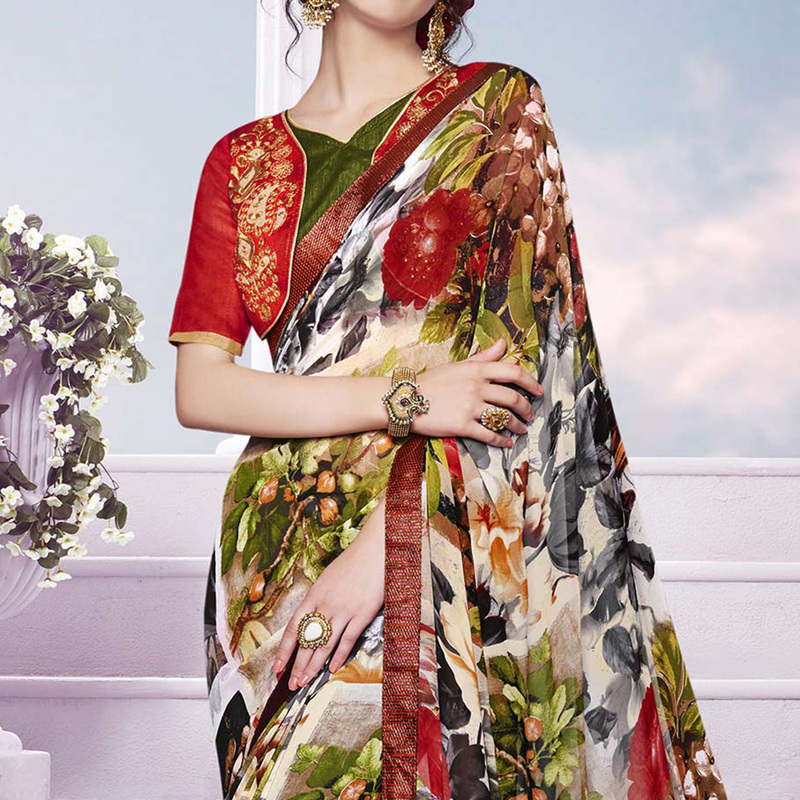 This saree is teamed with red - green color blouse detailed with embroidery work. 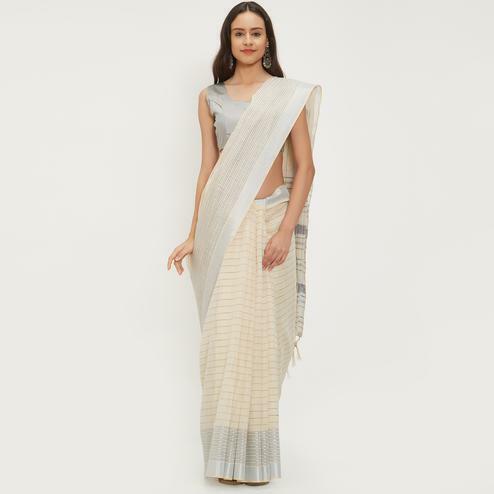 Women can wear this saree for social get together and casual outings. 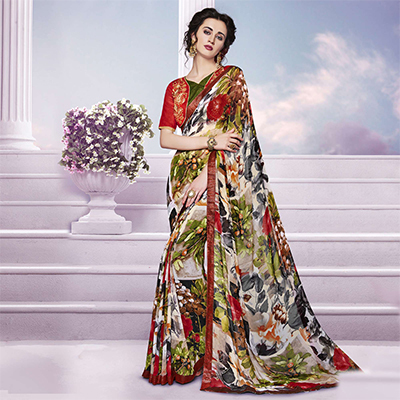 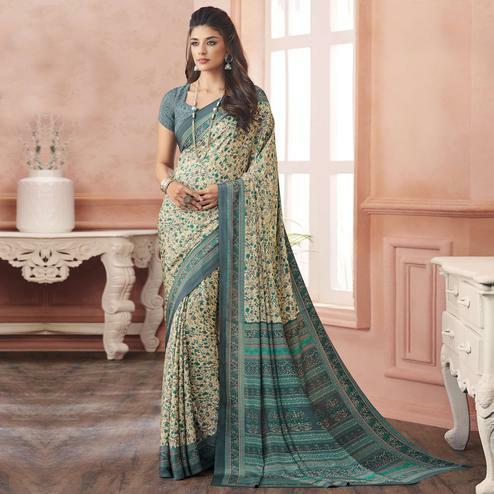 Grab this fancy saree now.